Although it is still an exclusive for iOS users, Super Mario Run looks to be coming to Android soon. In the Google Play Store you will now find a listing for the new game as well as the ability to pre-register for it. Pre-registering will assure that you get a notification on your phone when the game is available, likely sometime this quarter. You will then be able to go to the store to purchase it and install it. The announcement of the game back in October at an Apple event was one of the highlights for that event and one that got a lot of people excited to see a classic video game, at least in character, come to mobile devices. worlds of the game, is $9.99. It is highly probable that this same pricing structure will be used for the Play Store. 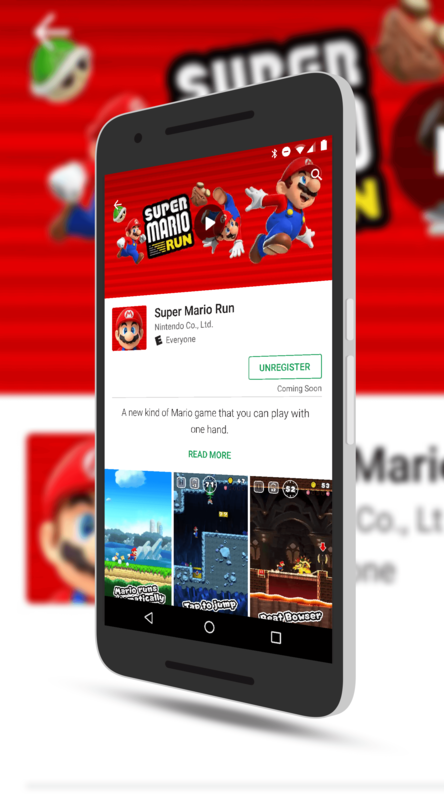 To pre-register for the app, just search for “Super Mario Run” in the Play Store or hit this link.